A colorblocked polo made for summer rounds. 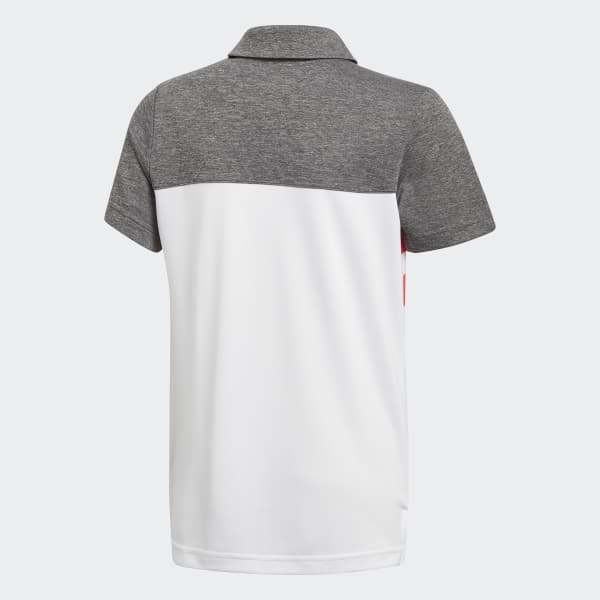 Dominate your round under the sun in this junior boys' golf polo. 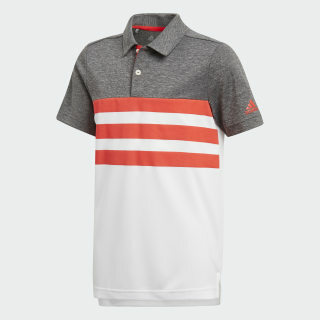 The colorblocked pattern and 3-Stripes across the front add pop, while built-in UV protection keeps you on the course even in the height of summer. A raised adidas Badge of Sport finishes the sleeve.